Flag Center | The People's Flag of Milwaukee 12x18"
The People's Flag of Milwaukee 12x18"
The new People's Flag of Milwaukee was designed by Robert Lenz. The rising sun over Lake Michigan symbolizes a new day. The light blue bars in its reflections represent the city's three rivers and three founding towns. Gold represents our brewing history and white symbolizes unity. 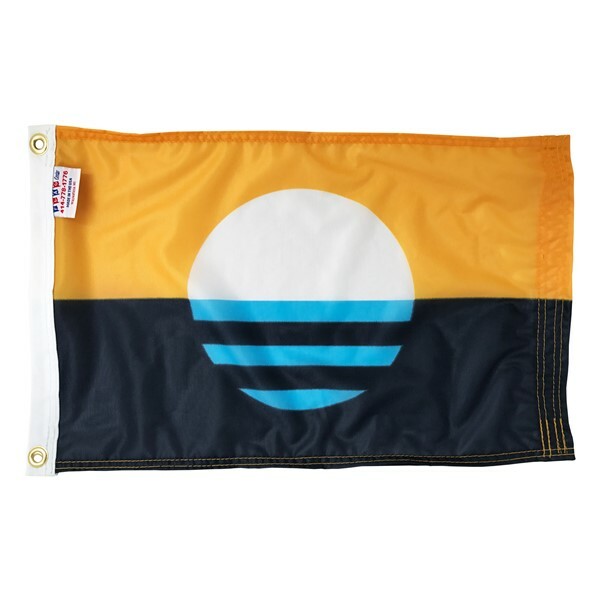 The flag is made of poly knit for indoor or outdoor use and is finished with a snow white heading and brass grommets. Can't find what you are looking for? Need something in a different size, shape, or color? Give us a call and we will be pleased to assist you.